We are pleased to announce the signing of Giancarlo Sánchez to our director roster for US commercial representation. Sánchez is an award-winning director best known for his work on “Evert_45,” an interactive campaign for Dutch telecom brand KPN which uses technology to make the stories of World War II veterans accessible to younger viewers. Told in multiple videos across social media and YouTube, the campaign won three awards at Cannes Lions this year, including the coveted Grand Prix in the Cannes Lions Entertainment category. Sánchez hails from Amsterdam, where he attended film school at The Netherlands Film Academy. He completed his first short film “Gameboy” while still in school, receiving numerous awards for the short. Since graduating, Sánchez’s work has spanned genres easily, garnering praise for his TV commercials, music videos, film, and TV series. A unifying theme of his work is innovative storytelling. 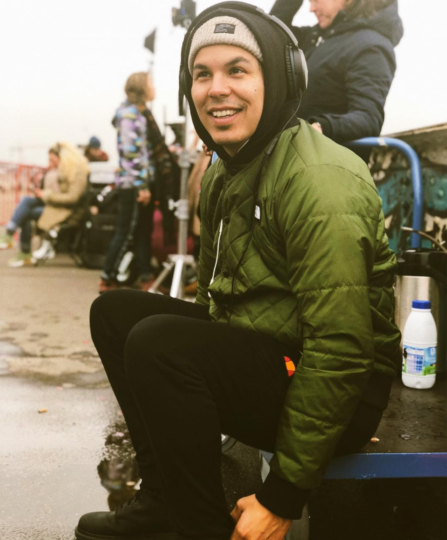 Sánchez’s additional past work includes the Dutch TV movie “Godforsaken: Christmas Gift,” the short film “Horizon,” and the Dutch TV series “4Jim.” “Horizon” won Best Television Drama at the Netherlands Film Festival’s Golden Calf awards. Sánchez’s next project is for the first Dutch Netflix Original Series which begins filming in January 2019.